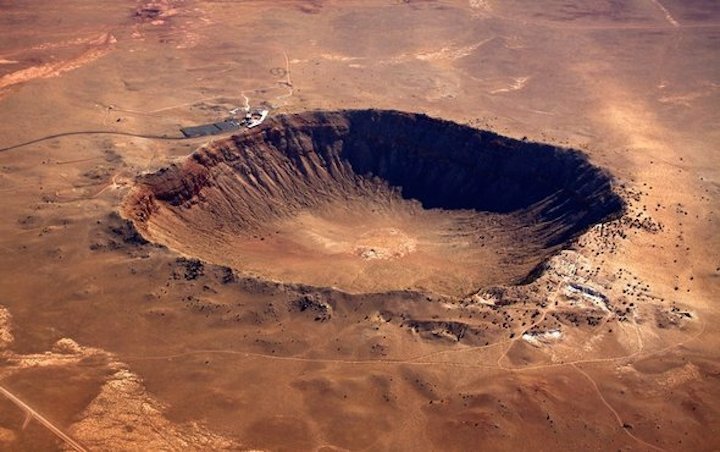 When a meteorite containing graphite slams into the earth, the collision’s heat and pressure can transform this form of carbon into a rare and extremely hard type of diamond. Scientists have long debated exactly how this happens at the atomic level. Now researchers can answer some questions after simulating the precise moment of impact and watch­ing this transformation take place in real time. Earlier research suggested hexagonal diamond forms only at pressures nearly four times as high—but “that’s been a great controversy,” Gupta says. Other studies showed graphite beginning to transform at lower pressures, but x-ray measurements from these experiments reveal a mixture of different diamond types, so “nobody knows exactly how the transition happens,” he explains. Most prior research examined atomic transformations under gradual compression. In contrast, Gupta and his colleagues’ experiments show hexagonal diamond forming directly from graphite during a sudden shock, in perfect alignment with the impact direction. The study was published last October in Science Advances.